Need to work on your team’s cohesiveness? Bring your team out to Nature Pointe for a Corporate Retreat. Get away from the traditional office setting and settle into our 18,000 square foot clubhouse. Meet in our Grand Anasazi Ballroom, compete in teams on our grassy field, or do yoga on our wrap around patios. We include an experienced event coordinator to work with you to make your retreat unique and productive. You may bring outside vendors, including your own caterer. We provide a beverage bar with water, tea, and lemonade, plus endless chips with Sadie’s salsa, coffee, and hot tea. We provide an event staff to set up and clean up the event. Prices range from $3,000 – 5,000 depending on your event’s specific needs. To get a quote for your event, please call, text or email our event coordinator. Holiday parties are a great way to show your employees that you appreciate their hard work. Let us tend to the details. Our team will set the stage for your event. We will coordinate with your vendors and follow your timeline. Our team of professional event staff will work behind the scene to give you and your guests a night to remember! Start planning your business’s holiday party with Nature Pointe today! 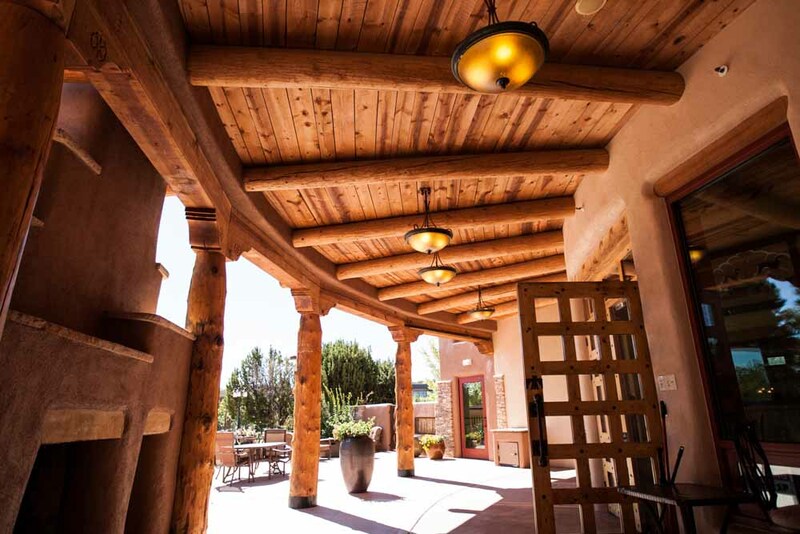 Nature Pointe Weddings and Events is a beautiful indoor and outdoor wedding event venue in Tijeras, New Mexico. Not only does our venue service clients from Albuquerque, Santa Fe, and rural New Mexico, it’s also suited for destination weddings.